From 2010 to 2016, in Central Washington, cases of anencephaly — in which babies are born missing part of the brain and skull — were detected at a rate far higher than the national average. Folic acid can help prevent the devastating birth defect. 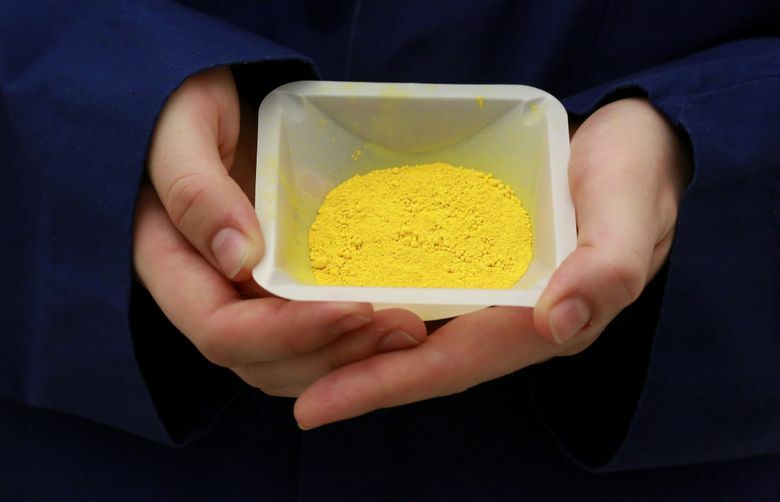 Two years after the Food and Drug Administration allowed manufacturers to add folic acid — a crucial B vitamin that prevents terrible birth defects — to their corn flour, very few have done so. 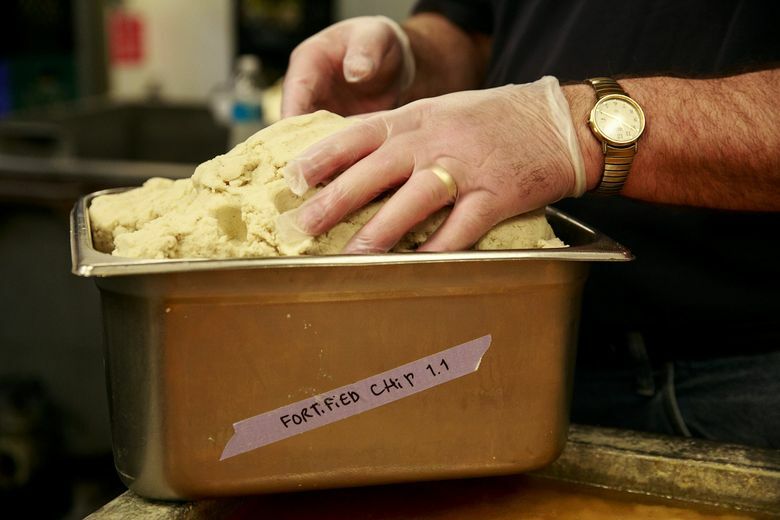 A new research report found that only 10 percent of corn-masa flour and no soft corn tortillas contained folic acid, which can help prevent devastating neural tube birth defects, including spina bifida and anencephaly. The grain is a staple food in the diet of many Latinos, who have higher rates of the disabling and sometimes fatal defects. From 2010 to 2016, in three Central Washington counties, dozens of cases of anencephaly — in which babies are born missing part of the brain and skull — were detected at a rate far higher than the national average. State health officials investigated, but no cause was found. Flawed tracking may mask birth-defect clusters across U.S. The researchers involved in the new report, led by Dr. Godfrey Oakley, a birth-defects expert and longtime advocate of fortification, examined about 40 corn-masa and tortilla products in nearly a dozen grocery stores in Atlanta. The review included national brands, which could indicate that fortification remains low across the U.S., leaving babies at risk, Oakley said. “We’ve known since 1991 how to make new cases of this condition go away,” he said. The findings disappointed Dr. Michael Dunn, the Brigham Young University professor of food science who conducted tests in 2016 to prove that folic acid was safe and stable in the corn products. Related video: Could tortillas help prevent birth defects? “I realized that the industry would be slow to move, but hoped it would have gained greater traction within two years than is being reported,” he said. But Dr. Lisa Waddell, deputy medical officer with the March of Dimes, said a sample from one part of one city might not be representative. A four-year battle led by a coalition of groups that included the March of Dimes resulted in the FDA allowing voluntary fortification. It drew the attention of Congress, notably Rep. Jaime Herrera Beutler (R-Wash.), who in 2016 urged the FDA to move forward. Herrera Beutler was prompted by reports regarding the sharp rise in birth defects in Washington state. “Unfortunately, this study highlights that not nearly enough manufacturers are choosing to take that vital step,” Herrera Beutler said in a statement. Gruma, the Mexican company that makes most U.S. corn masa, was part of the original effort. It now fortifies its 4.4-pound packs of Maseca, which has the largest market penetration among Mexican and Hispanic buyers north of the border. However, other sizes of Maseca may not be fortified. And other U.S. companies, including firms such as Bob’s Red Mill of Oregon, which includes corn masa among its 450 products, haven’t followed the voluntary ruling. Meghan Keeley, director of food safety and quality for Bob’s Red Mill, said company officials have discussed the move, but the firm doesn’t have a current supplier with fortified masa available. Proponents say that grain should be treated the same way as wheat, rice and others. Since 1996, all enriched grain products have been required to be fortified with folic acid to prevent neural tube defects, or NTDs. Those are defects that occur early in pregnancy when the neural tube that forms the spine and brain fails to close properly. After folic acid was added to enriched grains, cases of NTDs fell by up to 35 percent in the U.S. About 1,300 fewer babies each year are born with the defects, according to the Centers for Disease Control and Prevention (CDC). Corn masa wasn’t included as an enriched grain in 1996. Since then, consumption of corn products has risen, along with the Latino population in the U.S. Still, about 3,000 babies are born each year with NTDs, with higher rates among Hispanic women, the CDC says. The new research highlights the need for mandatory fortification, Oakley said. But that would require a change in the way the grain is classified by the FDA, likely a time-consuming and cumbersome process. Voluntary efforts rarely succeed, said Scott Montgomery, director of the Food Fortification Initiative at Emory University. It would take increased demand for fortified masa from large grocery chains, restaurants and tortilla-chip makers to get manufacturers to add the vitamin. Diane Stadler, director of graduate programs in human nutrition at Oregon Health & Science University, urged manufacturers to take what she said is a cheap, easy step to help a high-risk population. She compared it to adding iodine to salt to prevent enlarged thyroid glands, or goiters. Meanwhile, families should carefully scan the corn masa on their grocery shelves. All women of reproductive age — but especially Hispanic women — should eat only fortified corn products and take daily supplements that contain 400 micrograms of folic acid, the researchers said. Kaiser Health News is a national health-policy news service. It is an editorially independent program of the Henry J. Kaiser Family Foundation which is not affiliated with Kaiser Permanente. KHN’s coverage of these topics is supported by Heising-Simons Foundation and The David and Lucile Packard Foundation.